Fed up with the usual? When you’ve had your fill of Chicken Madras, Prawn Bhuna and Lamb Dupiaza for your Friday night takeaway give Royal Spice’s Gosht e Nobabi (£7.95) a try. The North Indian dish is not found on too many menus, which is what makes it all the more appealing, and the tender lamb comes beautifully infused with the whole spices it’s been cooked in and is topped with soft pieces of green pepper. It’s got a deep, rich taste and is hot, but not too hot, so will appeal to a wide-range of curry lovers. The strong flavour is not too disimilar to a Rougan Josht that’s been traditonally cooked with whole spices (as opposed to the ‘fried-up with lots of tomatoes’ variety that’s served in most restaurants). Plain rice (£1.75) would be a good choice to go with the dish so as not to detract from its flavours but those after a bit more from their side dishes could do worse than Mushroom Piloa Rice (£2.25). But curry man cannot live on experimentation alone and Balti Chicken Tikka (£6.95), which comes with a nan, ensures you’ve get a decent portion of old-school tastes. The chicken is well cooked and the tandoori flavour doesn’t get drowned out by the sauce, although this may have a bit of an overload of onions for some tastes. 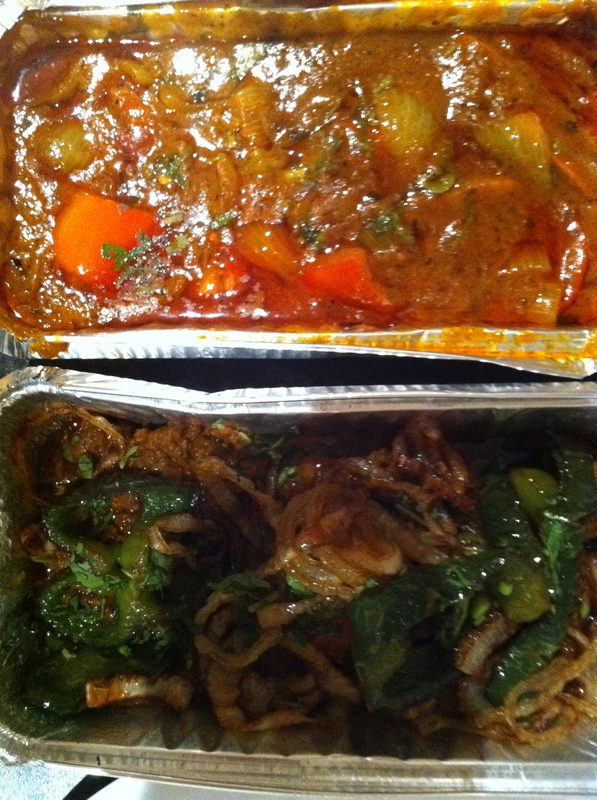 A nice move from Royal Spice is to offer two sizes of their vegetable side dishes (£2.50 for small and £4.25 for large). Too often you can fancy a couple of side dishes but find it sends the overall cost soaring. The small option is ideal for a couple of tasters. Niramish, mixed fresh vegetables in a dryish sauce and with a kick from green chillis, is to be recommended. Parking: on West India Dock Road, Gill Street, Three Colt Street, St Anne Street or Burdett Road. Delivery: free within five miles for minimum orders of £10. The receipt shows the food went out 40 minutes after the order was taken. Specials: 10% discount on delivery orders over £30 and a 10% discount for orders that are collected. Free bottle of soft drink on delivery orders over £20. Beer while you’re waiting: Royal Spice is a fully licensed restaurant so no problem with a beer if you are collecting your takeaway.